When is that factory in Wisconsin going to open? under Mr. Gou's leadership, Foxconn has been an amazingly successful company. he and his team were able to really leverage 3 countries's human resources (both labour and management) and political structures. few companies have ever reached this level of growth. General Motors was another, in a different age. we can hope that at least one or two of the new space related companies might be able to achieve this level of greatness. 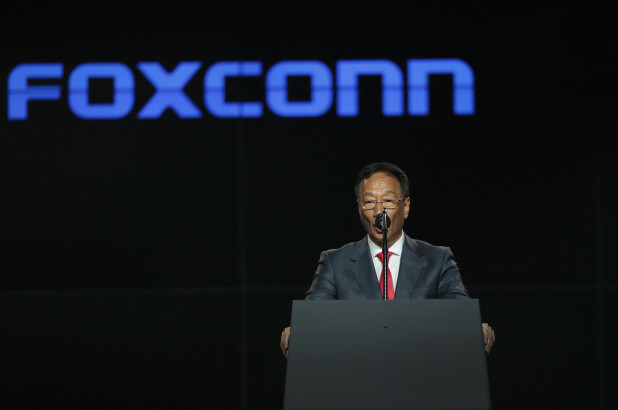 Say what you will about Foxconn, but this man turned it into a global juggernaut. This has been debunked by the Taiwanese media, Terry Gou is NOT stepping down. Terry Gou also said he’s not retiring for at least another 5 years. although i read the same article you did, i didn't get the impression he was stepping down. "Then I have more time to make long-term planning for the company." that sentence is so important and is an example for all company presidents. hes staying at the helm. he needs to get younger persons to take over. he will still steer the ship. there are so many things to learn from this great man. No American company can ever accomplish what this company has done including Quanta. The only way we've done so far is basically have those parts and screws shipped to Texas then they just put them together. There's no way USA will ever bring back production assembly and now we don't have the knowledge and capability. Why do people praise Foxconn (or want them to build a factory in our country)? Say what you will about them, but Foxconn is fundamentally an outsourcer. i.e. Scummy people who do the dirty work of exploiting others, giving their employer the impression of a "clean operation", all the while extracting massive profits in the middle. Should we praise Deloitte, Accenture, PwC, and their ilk for sending American jobs overseas while making a killing? Does anyone remember when Disney outsourced all their IT workers to India and forced the ones getting laid off to train their own replacements? What's more, Foxconn is only nominally Taiwanese, all of their operations are in China. Who in their right mind wants a company like this to be their local employer? in the USA, there is no stepping back. only stepping down. People "step back" all the time. To the board, becoming chairman of the board, etc. Gets you out of the CEO role. Always wonder what Tim Apple's plans are.